Through February 10th, or until they sell out, hurry over to Crock-Pot.com and score these very highly rated Crock-Pot Lunch Crock Food Warmers for just 3 for $30 with free shipping included when you enter the promo code CP3FOR30 at checkout! That works out to just $10 per lunch warmer! 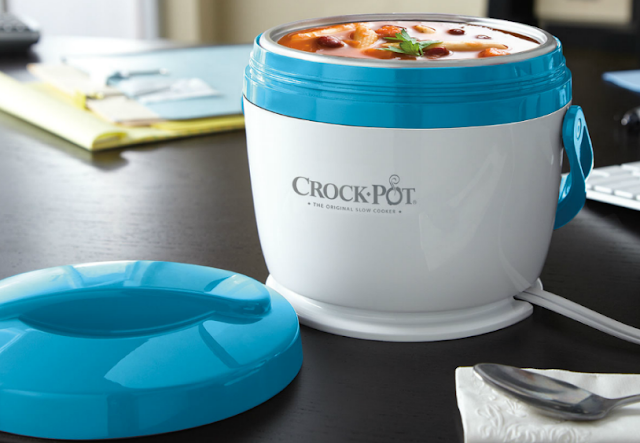 Designed to serve one person, the Crock-Pot Lunch Crock Food Warmer is a lunch tote and food warmer in one – it warms your food while you work for on-the-go meals that are ready when you are! , And the container is removable and dishwasher-safe!